Thinking about having your cake made at Cakes by Gina? Here are some of the most commonly asked questions about our services. Each of our tasty creations is custom-made from start to finish. No matter kind of cake you have envisioned, we can bring it to life. While we are an appointment-based service, we are happy to sit down with you for a simple consultation. If you have a question that you don’t see answered on this list, feel free to give us a call or contact us below. What flavors do you offer for your cake pops and cake balls? Any flavor that we offer as a cake we can do as a cake pop or cake ball! The only exception is our Tres Leches and Marble Cakes! Do I have to schedule an appointment in order to book my cake? Not necessarily! If you know what you want with regard to flavor and design, we can consult with you over the phone or via email and handle for you. However, if you feel the need to meet with us and taste our cakes, you are always more than welcome to schedule an appointment with one of our design consultants! What is included in your delivery fee and how much is delivery? We deliver and set up anywhere in the Greater Houston area. Our fee is based on distance and typically starts at $125. When your wedding cake is delivered, we send two members from our team, one of which is a master decorator to ensure that your cake looks picture perfect. We will also make sure to add any floral, based on your final design. 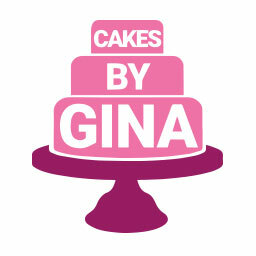 In the event you need to cancel your order, please send us an email to sales@cakesbyginahouston.com. All cancellations must be done in writing. What makes your cakes different? We take pride in everything we do. Our cakes are freshly baked the week of your event. We do not freeze any of our produced goods. We make our cake icings daily and we do use ingredients like butter, eggs, sugar …. We do not offer classes at this time. We do offer internships for students that are studying baking and pastries and are required to intern before graduation. For internship we required you send us a request and a resume for interview and approval. Do you sell any bake goods are you location? We sometimes have cupcakes, cake balls and cake jars depending on the season. Please call ahead for availability. Do you need a deposit to place the order? We do require a non- refundable deposit. For weddings we require 25% of your total contract. For special occasion cakes we require 50% of your order. Please keep in mind we are more about quality than quantity. Our consultations are complimentary. We do want you to experience what we are all about before you book with us. What should I bring to my cake tasting appointment? We want you to enjoy your experience with us. Bring an appetite to taste some delicious cakes. It helps us if you bring ideas of the cakes that you like, color swatches, vision board, etc. We do try to design something special for each customer based on the ideas given. What if I need a cake for today and tomorrow? We can only accommodate certain cakes in such a short notice. We keep in stock 6” and 8” rounds. Please give our store a call and see what we have available. We do take all major credit cards. We take visa, Mc, AMX, Discover. We take checks and cash. We are by appointment only bakery, but we are happy to help any time. We are open Mon - Fri from 10am to 6pm and Saturday from 10am to 5Pm. We are know for our 3d cakes. If you dream it.. We make it!! We do not ship cakes, due to that we use butter and dairy products as part of our production. What are the prices of your cakes? Our cakes are priced based on design and amount of servings. We start at $4.50 per servings on buttercream iced cakes and $6.50 on fondant. 3D cakes are price according to production time and difficulty. All of our cakes are custom made. We only produce what is ordered. A minimum of 3 - 4 days notice is required on small cakes. Depending on the season we required a 2 weeks notice. All orders require a non- refundable deposit. Yes, we deliver in all in the Houston and its surrounding area. When delivery is more than 70 miles, please call us so that we can analyze the delivery options.